Aston Villa and Fulham will go head to head this Saturday (26th May) in what is considered the most valuable match in world football. Promotion to the Premier League for either club will see an increase in revenue of at least £160m, rising to more than £280m if they avoid relegation in their first season in the Premier League according to experts at the Sports Business Group at Deloitte. “All eyes will be on Wembley on Saturday afternoon for this winner-takes-all clash,” commented, Dan Jones, Partner and Head of the Sports Business Group at Deloitte. 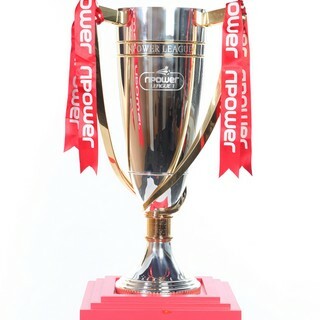 “It will be, as ever, a fantastic advert for the competitive intensity of the Championship and the financial attraction of the Premier League. “Whilst in football terms the UEFA Champions League Final is the bigger game, the financial rewards on offer in Kiev are dwarfed by those at stake in North London. 2018/19 is the final year of the current three-year broadcast rights cycle, which has provided the Premier League with an additional £1bn per season compared to the previous cycle ending in 2016. In February, the Premier League sold the majority of domestic broadcast rights for the next cycle (starting with the 2019/20 season) for almost £4.5bn. Jones added: “Whilst sale of domestic rights announced earlier this year has so far produced a lower value relative to the current cycle (£5.4bn) we expect the combined value of domestic and international rights to remain at a healthy premium across the period 2019 to 2022 relative to any other football league. Cardiff City, who secured automatic promotion by finishing second in the Championship, and Fulham both received their final parachute payments in the 2017/18 season, having been relegated from the Premier League in 2014. Champions Wolverhampton Wanderers are not currently in receipt of parachute payments, having been relegated to the Championship in 2012, while Aston Villa received their second of three parachute payments in the 2017/18 season having been relegated in 2016. As a result, Cardiff City, Fulham and Wolverhampton Wanderers can expect a minimum revenue uplift of c.£170m over three years if relegated from the Premier League after just one season. This is a combination of extra revenue they will earn from playing in the Premier League in 2018/19 (at least an extra c.£95m, mostly from central distributions) and parachute payments in 2019/20 and 2020/21 should they be relegated in 2019 (totalling c.£75m across the two seasons*). Given Aston Villa would forego a third parachute payment if promoted to the Premier League for 2018/19, their minimum revenue uplift would be c.£160m. Promoted clubs surviving their first season in the Premier League could see this figure rise to at least c.£280m. In the last 10 seasons to 2017/18, 20 (67%) of the 30 clubs promoted to the Premier League have avoided relegation in their first season. Last season was the first in seven years where all three of the promoted clubs avoided first-year relegation. Sam Boor, consultant at Deloitte’s Sports Business Group, added: “The financial prize for Fulham or Aston Villa, as well as Wolves and Cardiff, becomes at least £280m if they survive the first season in the Premier League. Boor concludes: “While access to the Premier League’s wealth of broadcast money is the great financial incentive for Championship clubs, the relatively equal distribution of money gives them a real chance of competing when they get there. “Nonetheless, in targeting promotion to the Premier League, clubs should be acutely aware of the need for long term financial responsibility. Purely relying on short term investment in playing talent is a risk and may not always be a sustainable answer. Full analysis of football clubs’ finances will be published in the next edition of the Deloitte Annual Review of Football Finance in June 2018.